Sometimes you win, while the most honest result was a draw, like Genoa did in Naples. Another time you should win the match, but the opponent scores the equalizer in the last minute just as during Genoa-Palermo. But the most bad matches are those that you loose in the last minute while you didn’t deserve it, like last Saturday during Genoa-Roma. The 11 players of Mr. Gasperini played a good match against the 14 (11 + referee Rosetti and both linesmen) of Roma. Matteo Paro hit the post with a fantastic shot halfway the second half and Marco di Vaio scored a regular goal that was cancelled wrongly because of off-side. These things unfortunately can happen in football and of course also Roma had some good chances to score, but the 5 dubious yellow cards of Genoa by referee Ro(ma)setti let us all in the stadium think of the Moggi-period of last years. Maybe the fact that international (?) referee Rosetti lives in Torino, the city of the next opponent of Genoa, makes something clear. Genoa misses 3 important players next Sunday (Paro, Juric and Danilo) because they all got a very dubious yellow card. If the boss of the referees Collina is as honest as he was in his period of referee he should take care that international referee Rosetti doesn’t whistle a new match this year, just like any other referee that makes such big mistakes. We all fear that Rosetti won’t be punished and Genoa gets a high money-penalty because of the songs of the public against Rosetti and Lega Calcio because of the fact that they have forbidden to Genoa-fans to travel to Torino next week to see the match against our friends of Torino. Or is Lega Calcio afraid that Genoa-fans do find the house of Rosetti in Torino ?! For the first time this season Mr. Gasperini can use all his players. It surely will be a problem to choose the players that have to watch the match in the tribune. With Roma it is very doubtful of their star Francesco Totti can play or not. The symbol of Roma is injured for weeks and has done everything to be ready for the big match against Genoa, but we hope that he has to wait another week for his come-back. “I speak english”. Oh, yes. Si comincia così, ma da qualche parte si doveva pur iniziare. La notizia è che il Genoa ha messo a disposizione della squadra, ma anche di chi lavora in sede, un insegnante d’inglese per imparare i primi rudimenti, o semplicemente rinfrescare quella che è considerata la lingua franca per eccellenza. 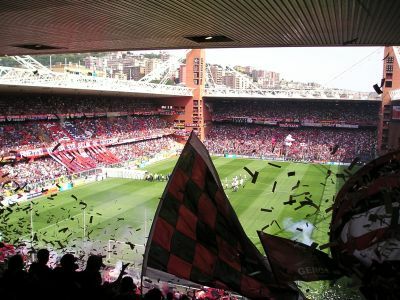 Come a ribadire che il calcio è importante, ma lo è anche lo studio. E così i vertici dirigenziali del Grifone, nell’ambito di un progetto di sviluppo e potenziamento articolato in varie direzioni, hanno offerto questa possibilità che è stata raccolta con entusiasmo. La prima lezione ha visto tornare sui banchi un buon numero di tesserati tra giocatori e staff tecnico. Da lassù sir James Richardson Spensley, c’è da giurarci, approverà soddisfatto. Un modo per tenere in allenamento la mente. 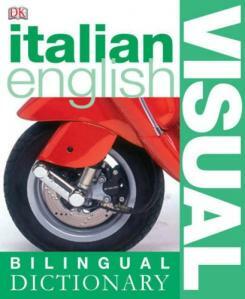 Nel pieno rispetto della tradizione del club più inglese d’Italia. This message was yesterday on the official internet-site of Genoa C.F.C. and today in the newspapers. Of course the players and employees have to understand the English language, because otherwise they can not read this International fansite. Also the webmasters of this website have to improve their English language because this week we found in both Sunderland and Genoa-supporter Andy Nichol our newest member. Welcome Andy ! From this week we start a new item to let the Genoa-fans outside Italy know more of the Rossoblu players. We start with our captain and Genoa Club Amsterdam player of the year 2004-2005: Marco Rossi. Marco is born on the 1st of April 1978 in Seravezza, which is in North-west Toscany in the regio Lucca. Marco started his professional career in Serie B in the season 1995-1996 with Lucchese, the team of the city of Lucca. After 3 years he moved to the south of Italy to play in Serie A with Salernitana. The second year in Salerno Rossi had to play in Serie B because the team relegated in his first year. This fact let him decide to return to Toscany and Serie A with Fiorentina. After 2 years in Serie A in the summer of 2002 the purple team was bankrupt and Italian Football Association let the team start again under the name Florentia Viola in Serie C-2. Marco again did not want to play outside Serie A, so he was happy that president Enrico Preziosi of the promoted team in Serie A: Como bought him. 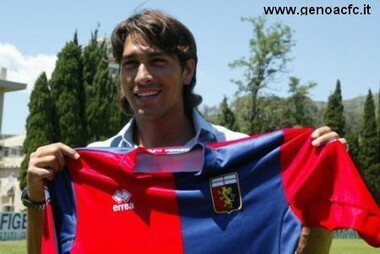 At the end of his first season in Como, president Enrico Preziosi moved to Genoa in Serie B and he took Marco with him. 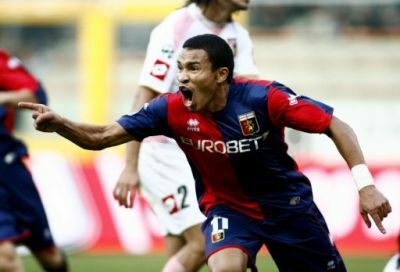 In his first year (2003-2004) with Genoa, Marco played 38 games and scored 8 goals, a lot as midfielder in Italy. In the summer of 2004 Enrico Preziosi and Marco had some problems with the new contract of Marco, so our red midfielder only played in the second half of the season when the problems were solved. Marco played 16 fantastic matches and scored 3 goals, always when the Dutch members of Genoa Club Amsterdam were present in the stadium. Because of this fact and also because Marco stayed with Genoa in the season 2005-2006 in Serie C-1 after the punishment of the Italian Football Association because of the match Genoa-Venezia we chose him as Genoa Club Amsterdam Genoano of the season 2004-2005. In Serie C-1 Marco again scored 3 times in 33 matches and after the play-offs against Salernitana and Monza the red an blue team was back in Serie B. Last season Genoa and Marco (together with substitutes Alessio Scarpi and Cristian Stellini) promoted for the third time in a row, bringing us back in Serie A after 12 long years. Genoa’s trainer Mr. Gasperini changed fast and offensive midfielder Marco into an allround player that can play on every position at the right side of the field. This year Marco is also the captain of our team, while he already was the second captain behind Stellini last year. Yesterday was a bad day for Genoa, a black day for Italian football and a nightmare for the family and friends of 26 years old Lazio-fan Gabriele Sandri who died by accident by a policeman. The fans in Milano (Inter-Lazio), Bergamo (Atalanta-Milan) and Roma (A.S. Roma-Cagliari) went completely crazy after the news of the killed supporter, so none of these 3 games was played. Genoa played one of the most bad games of the season. In the 79th minute our best player Marco di Vaio headed the ball against the post and 1 minute later Joelson doubled the score in 2-0: game over. Because of the national teams next week there is no Serie A, but because of the violence yesterday there is also a stop in Serie B and Serie C. Let’s hope one week later Genoa-Roma will be played regulary, because just like in February after the dead of policeman Raciti we already booked our flight for next week’s match. Figueroa for the first time in line-up ?! Genoa plays deep in the South of Italy against Reggina that substituted coach Ficcadenti into Ulivieri 2 weeks ago. In his first match Ulivieri draw in Naples: 1-1. Reggina has 2 ex-Genoa players in the team: goalkeeper Campagnolo (saved a penalty in Naples) and forward Cozza (injured at the moment). Inside our red and blue team are 5 ex-players of Reggina: Scarpi, De Rosa, Lucarelli, Leon and Borriello. 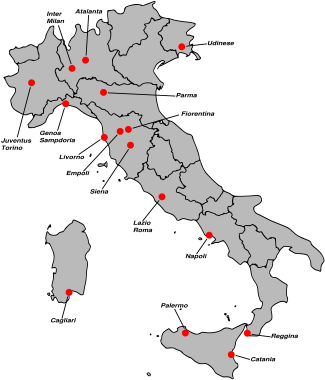 Around 200 Genoa-fans make the trip of 1191 kilometres to Reggio Calabria in the point of the Italian shoe. Because of his 4th yellow card topscorer Marco Borriello can’t play tomorrow, so maybe this is the right time to let Lucianon Figueroa make his debut in the line-up. Against Fiorentina and Inter the very friendly Argentinian player already made a very good impression, so we hope Mr. Gasperini starts the match against Reggina with “Lucho” in the team. To put some more length in the defense also the return of Gaetano de Rosa is expected tomorrow. Two teams that played to win, 6 goals and a fantastic atmosphere. Almost a perfect game, but unfortunately Genoa only got 1 point at the end. Of course Palermo deserved a point, but Genoa had to get at least the other 2 points. The first 30 minutes Palermo was the best team in the field. In the 8th minute they took the lead by a goal of Cavani and the Sicilians also got some other chances to score. After 30 minutes the match changed and Genoa was the boss in the field, but till halftime referee Gervasoni (Borriello deserved a penalty) and keeper Fontana saved Palermo. In the second half Leon scored twice in the 59th (fantastic free-kick) and 67th minute, giving Genoa a 2-1 lead. The joy lasted only 9 minutes because in the 76th minute Brienza scored 2-2. Only 6 minutes later our topscorer Marco Borriello gave Genoa again an advantage: 3-2. Of course we all hoped this was the last goal of the match, but in the 91st minute Amauri again scored the equalizer with his head after a great error of the whole defense of Genoa. Milanetto could not score the last chance of the match, so the 3-3 stayed on the scoreboard. A good result if you think about the first 30 minutes of the match, not enough seeing the last hour, but the real winner of this match: the public ! Today we’ve changed the content on the Genoa Club Amsterdam TV Channel. Now you can watch the highlights of all our Serie A games in a row. At your service. 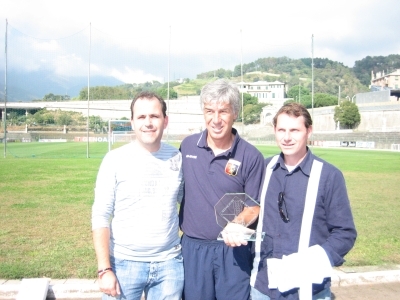 Our Genoano of the year coach Gian Piero Gasperini has signed a new contract with Genoa till the summer of 2012. Fantastic news to all the fans of Genoa, because Gian Piero is a certainty for offensive, creative and succesful football.